The Queen Elizabeth Theatre is located in the heart of Vancouver, Canada. It has a cosey seating capacity of just over 2000. 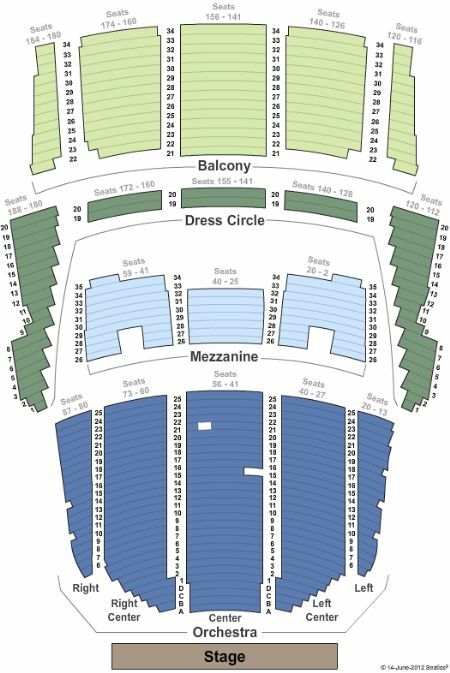 Below the seating chart illustrates the different seating options available for patrons. The theatre is split into 4 seating areas, at the rear of the seating is set at its highest point with a balcony offering a top down view of the stage. The Dress circle is another great seating options if you like to be situated above the performers , this seating option can stretch to the sides of the theatre. Below the balcony further seating options are available. The Mezzanine are is located in the central areas. With further general admission seating located closer to the stage. Both Orchestra and Mezzanine level seating has wheelchair access, their is also a lift which is operated from the main lobby, this run to he Mezzanine Level and the Upper Balcony. For those requiring hearing assistance, complimentary receivers for the Sennheiser Infrared Transmission System are available at no charge at the Lobby Coat Check. Quantities are limited. A valid drivers licence or credit card is required. Lastly, binoculars may be rented at the Main Lobby Coat Check.